The modify access permission level is the most powerful level after the administrator privileges. 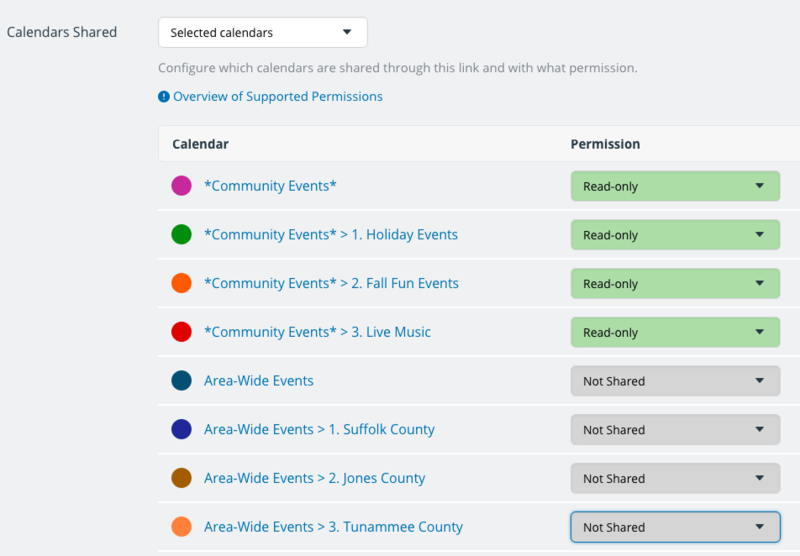 A modify permission does not allow access to the calendar settings, but it does give the user full ability to add, modify, and delete any event on the shared calendar(s) at any time. You can add events to the calendar. You can see event details for all events on the calendar. You can modify any event on the calendar. You can delete any event on the calendar. We recommend that calendar administrators use a calendar link with full modify permission for daily calendar use, and reserve their administrator link for use when needed to adjust the calendar settings. This is a good security measure that helps prevent accidental changes or inappropriate access to the calendar. Remember that you can create a calendar link that has full modify permission to selected sub-calendars, and a lower level of access to other sub-calendars. 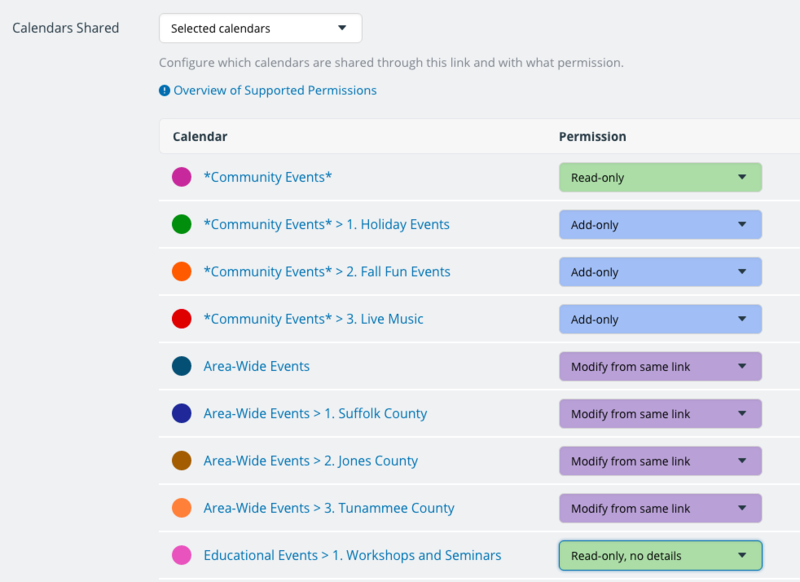 This ability to customize permissions for each individual sub-calendar makes it possible for you to give as much autonomy as possible to calendar users, while protecting data or preventing unauthorized changes to other sub-calendars. « What are the add-only access permissions?